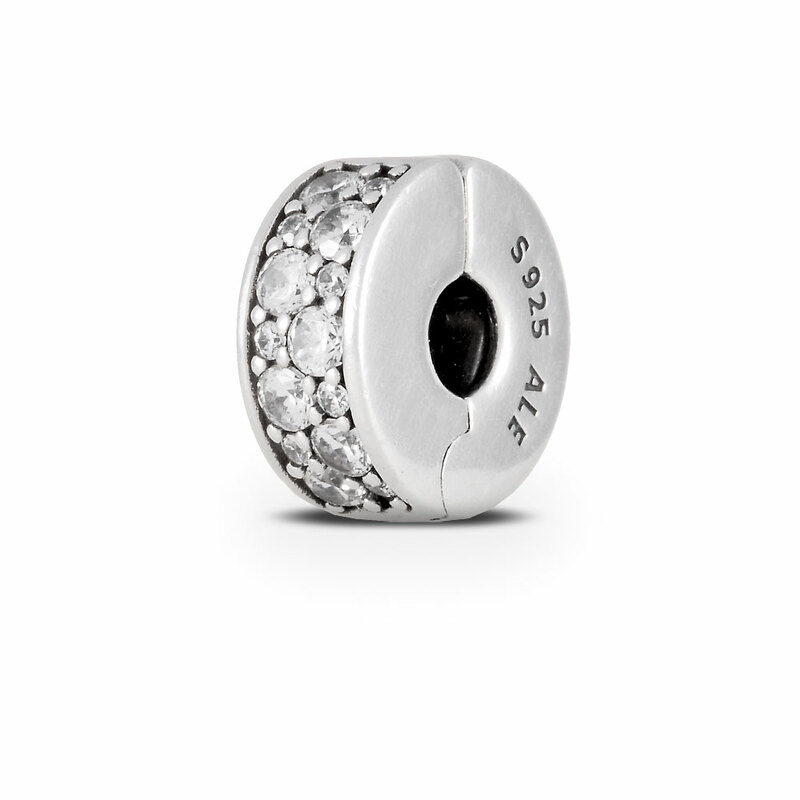 This stylish clip has been specially invented for use on bangles, the new smooth charm bracelet, and leather bracelets. With its innovative and patent pending silicone grip, it will secure your styling while adding delightful sparkle and details to it. This item is a single clip charm only. Bracelets sold seperately. Styling images may show this charm on a bracelet as styling inspiration.